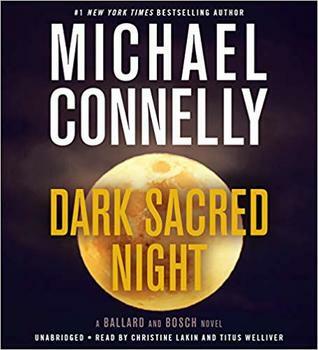 I like Ballard and Bosch as a team. Lots of fast paced action kept me turning the pages. I look forward to reading more about this pair. Sign into Goodreads to see if any of your friends have read Dark Sacred Night. 30.0% "I think Ballard and Bosch are going to make a really good team. Bosch needs to figure out his leak ASAP." 76.0% "Very close call for Bosch! Good thing Ballard was on top of things."